With the introduction of the new European Data legislation in May 2018 (GDPR) you will sometimes need to remove individual candidate data on an ad hoc basis. Typically this will be when you are contacted by a candidate who wishes to enact their ‘right to be forgotten’. 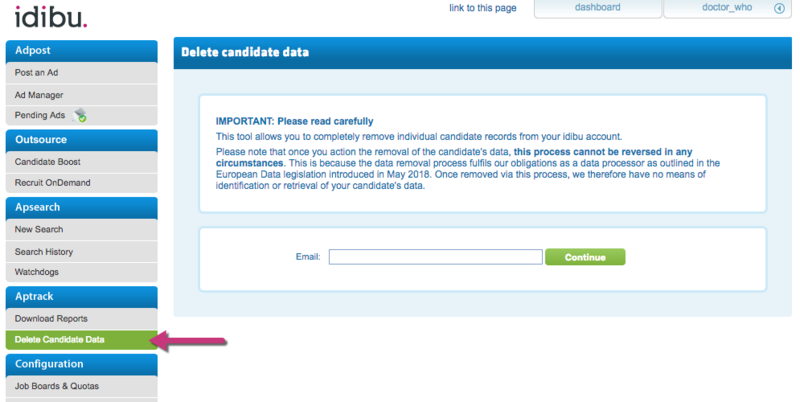 Removing candidate data in these circumstances is very quick and easy. However, please keep in mind that once a candidate’s data has been removed we have no way of retrieving this under any circumstances. This is because of how we fulfil our obligations as a data processor under the above legislation. This feature is only available for use by the Administrator of your account. If you are not the Administrator and need to remove the data of a specific candidate, then please contact your Account Administrator. 2. Enter the email address of the candidate concerned, then click ‘Continue’. 3. 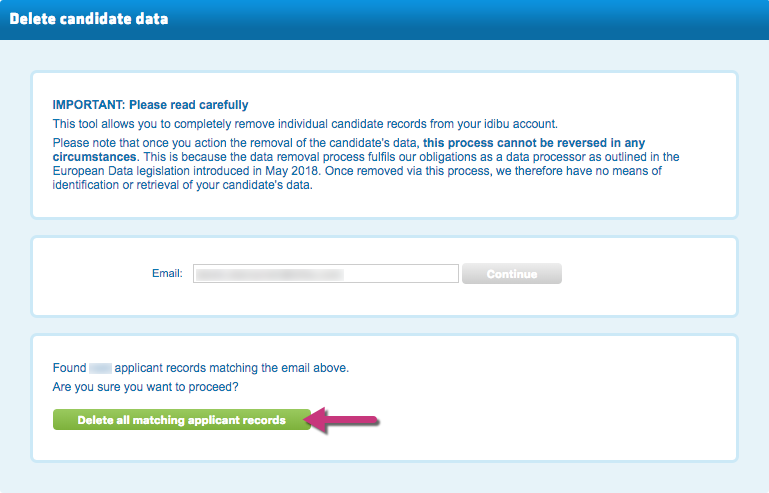 If you are still happy to proceed, click “Delete all matching applicant records” and the records will be completely removed from your account. PLEASE NOTE: your reporting stats with regard to applications received will not be affected by removing candidate data. What if I want to systematically remove data over a specific age? 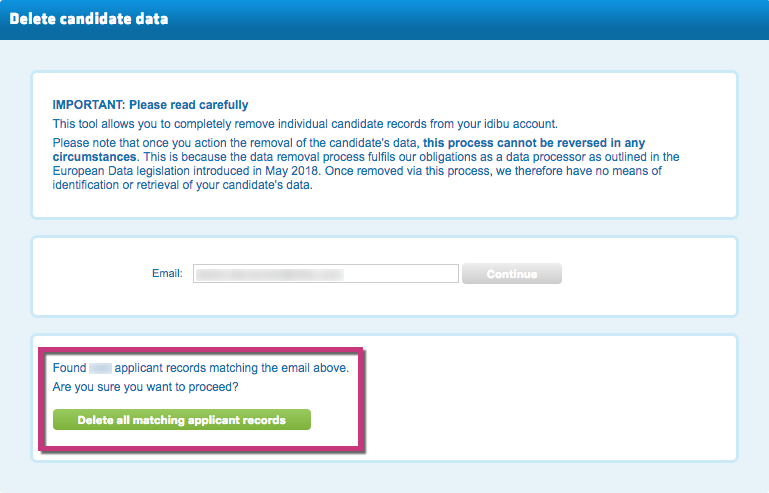 By default we will automatically remove candidate data which is older than 36 months (3 years). If you wish your candidate data to be removed automatically at an earlier point, then please contact us at gdpr@idibu.com and we will set this in the back end of your account. Keep in mind however that we cannot reverse and retrieve any deleted data at a later point if you wish to extend this period again.